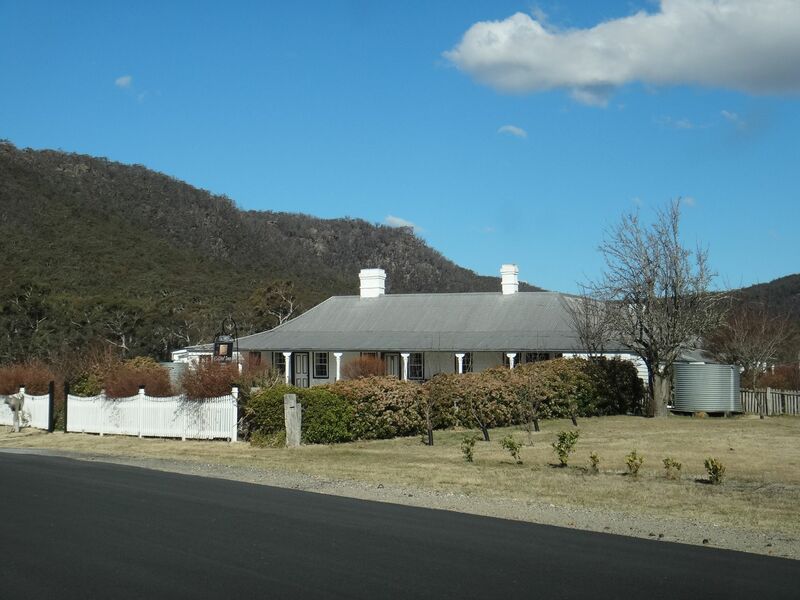 Location: Travel about 2.5km east from the junction of Browns Gap Road and the Hartley Vale Road to Collitts Inn. Relevance to Cox’s Road: Collitts Inn was built in 1823 near the convergence of three roads, two coming off Mount York, Cox’s Road (1815) and Lawsons Long Alley (1822) and Bells Line of Road (1823), coming off Darlngs Causeway. Subsequently Lockyers Road would junction with Cox’s Road nearby and be continued on as the unfinished Lockyers Pass up to Mount York.